Edward Collier (circa 1642-1708), Painter. Sitter in 1 portrait, Artist of 1 portrait. Edward Collier (circa 1642-1708), Painter. Artist of 1 portrait, Sitter in 1 portrait. 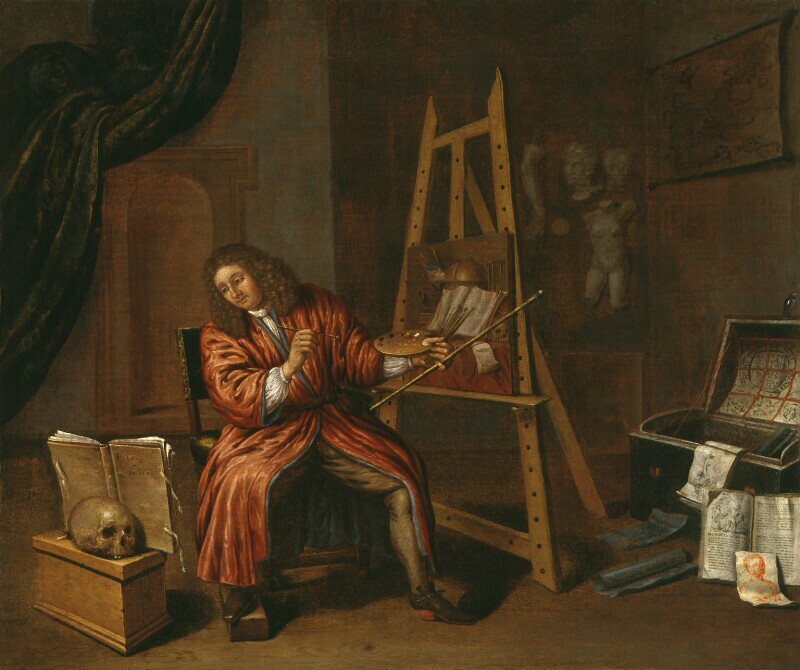 This self-portrait shows him at work in his studio, surrounded by books, drawings, plaster casts and a skull, a common symbol of death. It both advertises his skills and – unlike the self-portraits of most of his contemporaries in England – draws attention to the practicalities involved in making paintings.